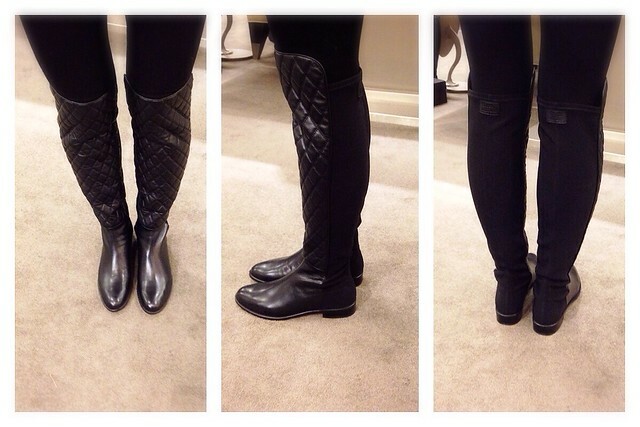 I wanted to do a quick review on these Stuart Weitzman quilted OTK boots just in case anyone is interested. While I am not 100% impressed with the 5050, I am head over heels in love with the quilted version. They look stunning in person and feel amazing on. They run very true to size. I am trying on a size 7 here and they fit really well (I am between a 6.5 and 7). The leather is so soft, luxurious yet durable at the same time. Those are super cute! Love the quilted material! Cute boots! What a great deal!